If you are familiar with vintage clothing, you are aware that sizes have changed throughout the years and vary from country to country as well. Vintage clothing is cut much closer to the body than modern garments. For this reason, it is important that you allow enough wearing ease to move comfortably and measure your body accurately. 2,5 cm – 5 cm / 1" – 2" of wearing ease so that you can move and breath. When measuring yourself remember not to pull the measuring tape too tightly. Be honest with yourself! Do not forget to measure over the undergarments you plan to wear, but not over other clothing. Please use the measurements listed for a proper fit. 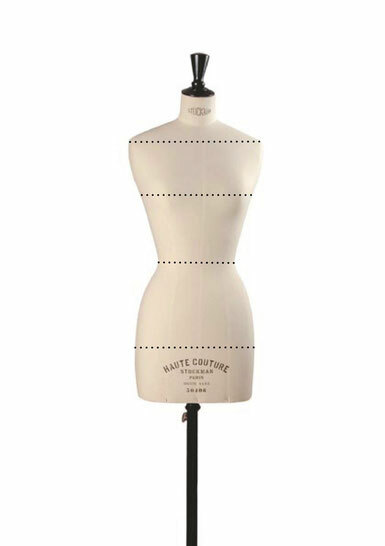 The best method is to measure a garment that fits you well and then compare it to the measurements of the item. We measure our garments flat on a hard surface and do our best to be as accurate as possible.